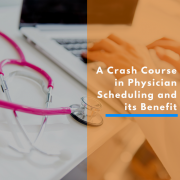 Physicians may spend more than 12 hours at work each day, so it only makes sense that they should be as happy and comfortable as possible during their shifts. 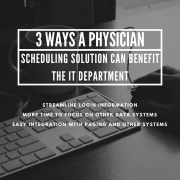 You, as the administrator, can accomplish that by making a few accommodations, and you’ll be sure to see an increase in physicians’ attitudes and satisfaction on the job as a result. 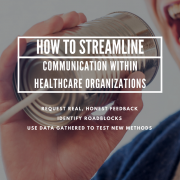 Small efforts can make all the difference–having snacks and a television in the break room, remembering and celebrating birthdays and other milestones, and recognizing signs of stress, anxiety, or exhaustion in team members. 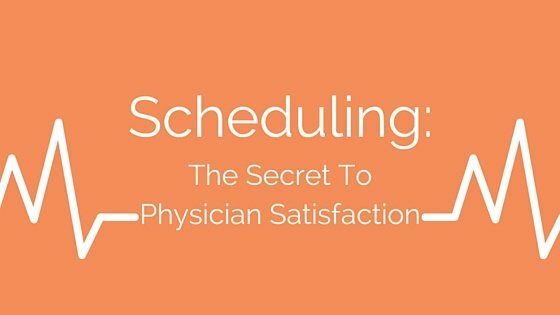 One huge way to keep physicians satisfied is by ensuring that their monthly schedules receive the right amount of attention. 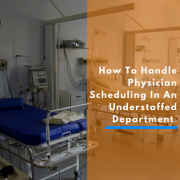 Neither physicians nor schedulers want to deal with understaffed shifts, hours of consecutive work that leave them burnt out, or being scheduled to work on days that conflict with family events. 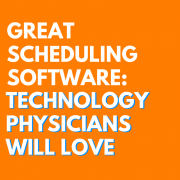 To avoid this, the schedule should be as fair as possible every time, minimizing complaints and, ideally, making everyone’s lives easier. 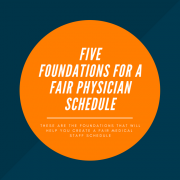 This comes with some communication between scheduler and team, to establish what’s fair and what aspects of the schedule are most important to the group as a whole. 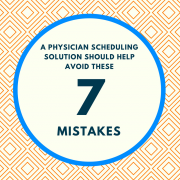 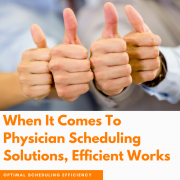 If your team’s scheduling method forces the scheduler to spend more than three or four hours on it every month and it’s pushing your providers to complain, an alternative is worth looking into, like scheduling software.